Using Google Maps is a great way to plan your trip before you leave, but it might not give you the exact path you want to take. Maybe you want to use an alternate route to bypass heavy traffic, avoid toll roads, or make a side trip along the way. No matter your reason for wanting to adjust the Google Maps route, you have free rein to do so. Sometimes Google Maps presents you with its own suggested routes. Google Maps highlights the suggested route in a bright blue color and includes other possible routes in gray. Each route is marked with distance and estimated driving time (assuming you're looking for driving instructions, rather than transit, walking, and so on). It's easy to change the suggested route in Google Maps, but there are two ways to do it. 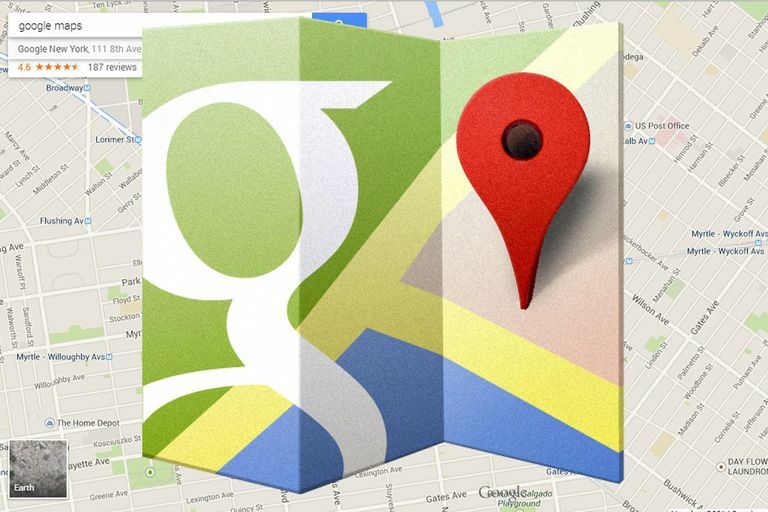 After you enter a location and Google provides a route for you, click anywhere on the bright blue path to set a point. Drag that point to a new location to modify the route. When you do this, any other suggested alternate routes disappear from the map, and the driving directions change. Notice that the estimated drive time and distance change as you adjust the route, which is helpful if you're trying to stay within a certain time frame. Keep an eye on these changes as you make a new route and adjust your plan accordingly. Google Maps automatically "sticks" the new path on the road for you, so you don't need to worry that it's sending you through forests or neighborhoods that you can't drive in. The path it gives is a legitimate way to get to the destination. After you complete your alternate route, it is locked in. To select one of the gray-colored alternate routes, click on it. Google Maps changes its highlight color to blue to indicate that it's now the new preferred route, without removing the other possible routes. Edit the new highlighted route by dragging the path to a new location. When you make a change, the other routes disappear, and your driving directions change to reflect the new route. This is a powerful tool for adjusting a Google Maps route, but it's easy to overdo it. If you find that you've changed your route too much or you have paths going ways that you didn't intend, use the back arrow in your browser to undo the damage or restart with a new Google Maps page. Another way to plan an alternate route on Google Maps is to add multiple destinations to a suggested route. Enter a destination and starting point. Click or tap the + button underneath the destination you entered to open a third field where you can input an additional destination or click on the map to enter the new destination. Repeat the process to add additional destinations. To change the order of the stops, click and drag the destinations in the order you want them to occur. Fine-tuning the routes that Google Maps offers is possible through the Options button in the route panel. You can avoid highways, tolls, and/or ferries. Depending on the one you choose, it may be experiencing heavy traffic or delays, in which case you can select an alternate route to reach your destination faster. Turn on live traffic indicators in Google Maps with the three-lined stacked menu located at the upper-left corner of the page. If you're using the mobile app, you can change the route options using the menu at the top-right corner of the app. Toggling live traffic on and off is available through the layers button hovering over the map. Selecting an alternate route on mobile devices works the same way as it does on a computer, only instead of clicking the alternate route, you tap it to highlight it. However, you can't click and drag on a route to edit it on a mobile device. If you need to add a destination, tap the menu button at the top of the screen and choose Add stop. Arranging the route order works by dragging stops up and down in the list. Another small difference between the mobile app and web version is that alternate routes do not show the total time and distance until you tap them. Instead, an alternate route reflects how much slower or faster it is than the selected route. Did you know you can send a customized Google Maps route to your smartphone? This makes it much easier to plan a trip because you can build it with the full tools available on your computer and then send it to your device when it's time to put it to use. Tell Google Maps to "Take a Walk."